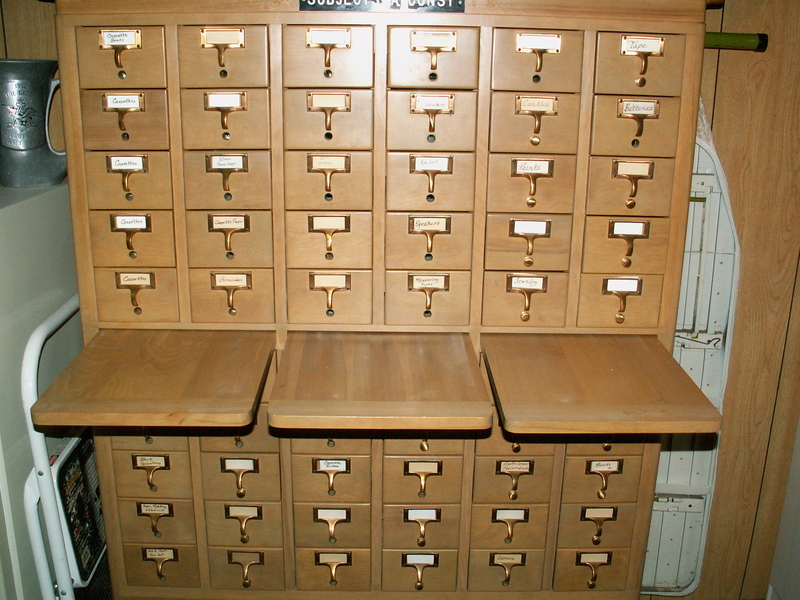 If you’ve been looking to buy a library card catalog, you’re not alone. 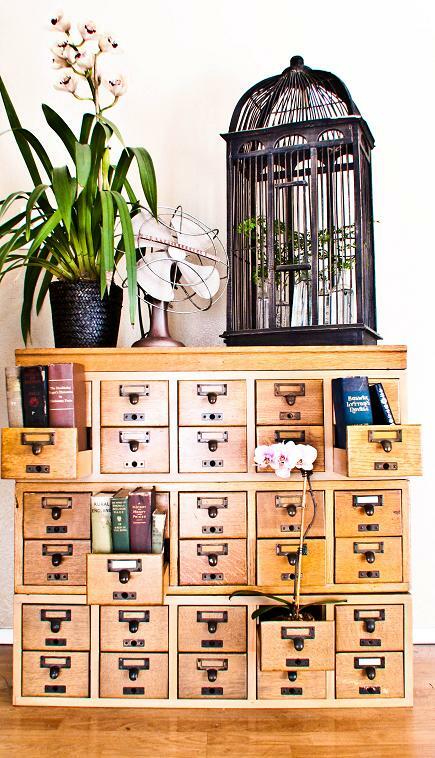 Card catalogs are all the rage these days, used in shops and homes both for pure decoration and for serious organizing (I’ve seen them hold everything from craft materials to tools to wine bottles). 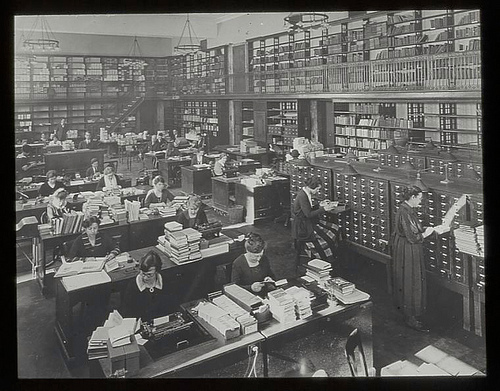 And really, who wouldn’t want a little piece of library? 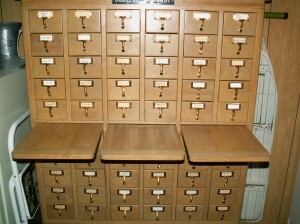 But where to find them? 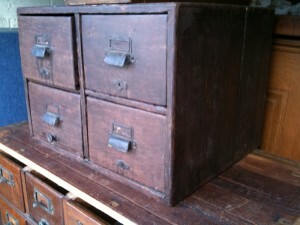 There’s the rub. 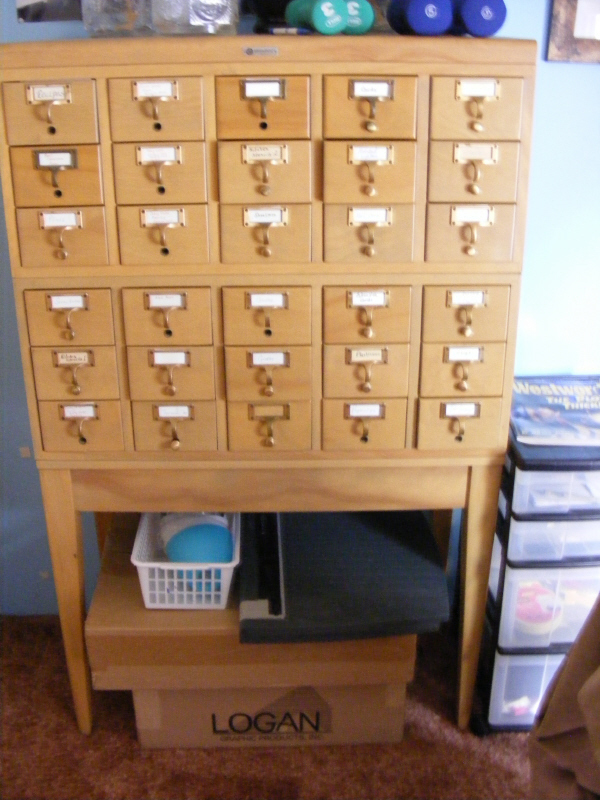 I’ve scoured eBay and Craigslist for library catalogs with some luck, but often they’re bought up quickly. 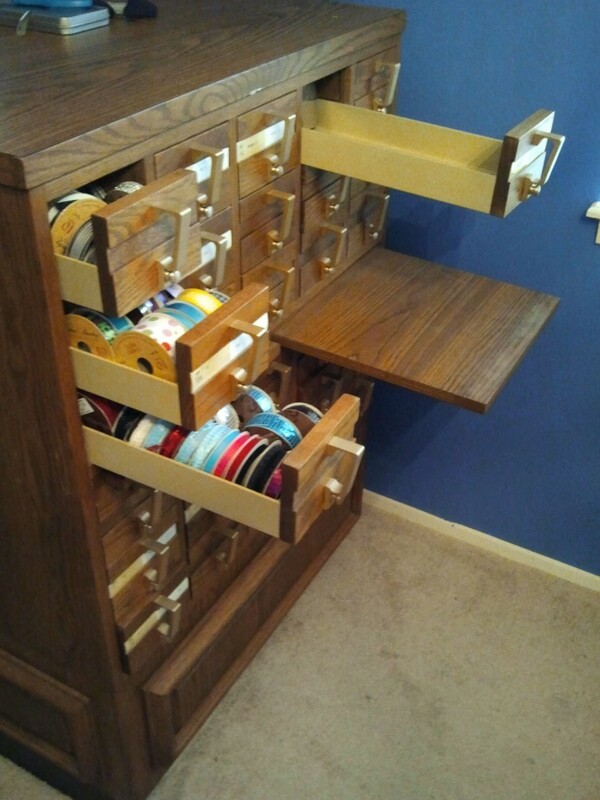 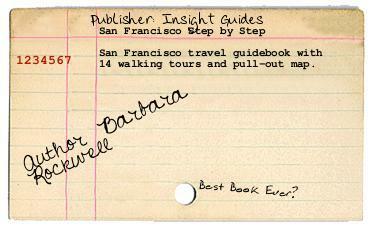 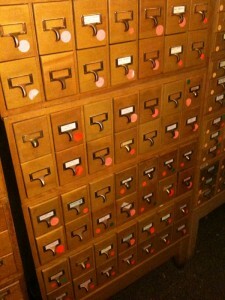 One alternative I’ve discovered is avid card catalog collector, Barry Muchnick. 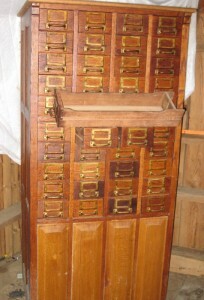 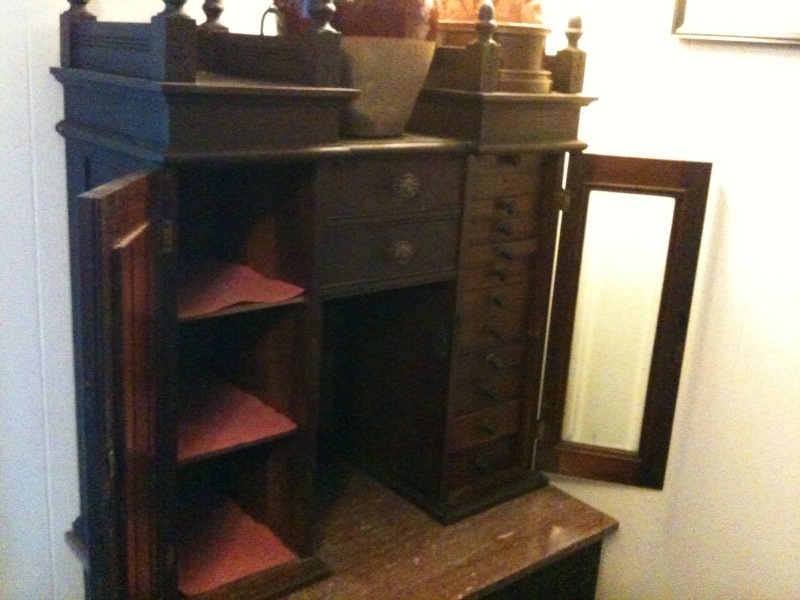 Muchnick is a private collector specializing in turn-of-the-century office furniture with lots of tiny drawers. 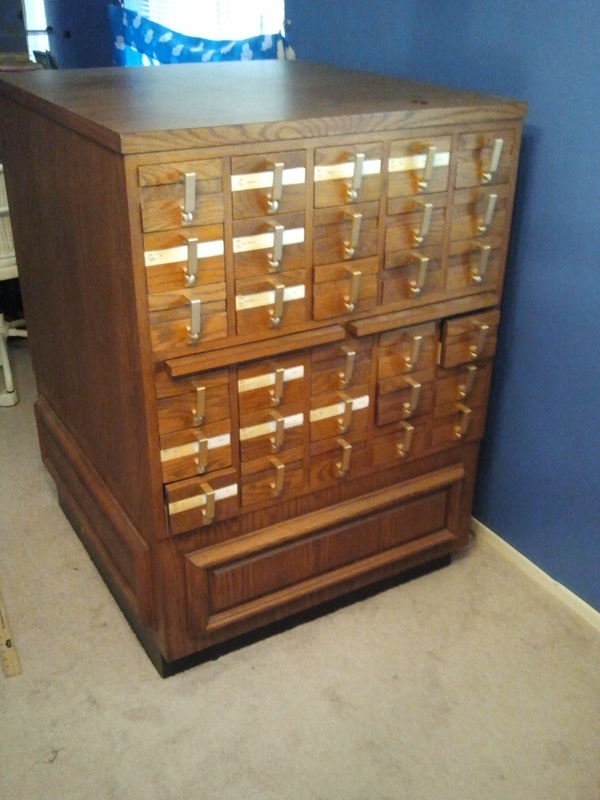 His collection of card catalogs (and other furniture pieces with small drawers) has grown too large to house, so he’s offloading many of them. 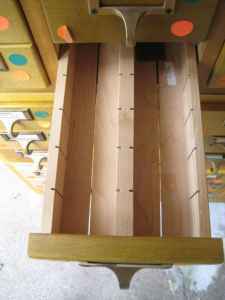 Almost all his pieces are antique quartersawn golden oak, with one mahogany and a few hard rock maple. All the pieces pictured below are for sale by Muchnick. 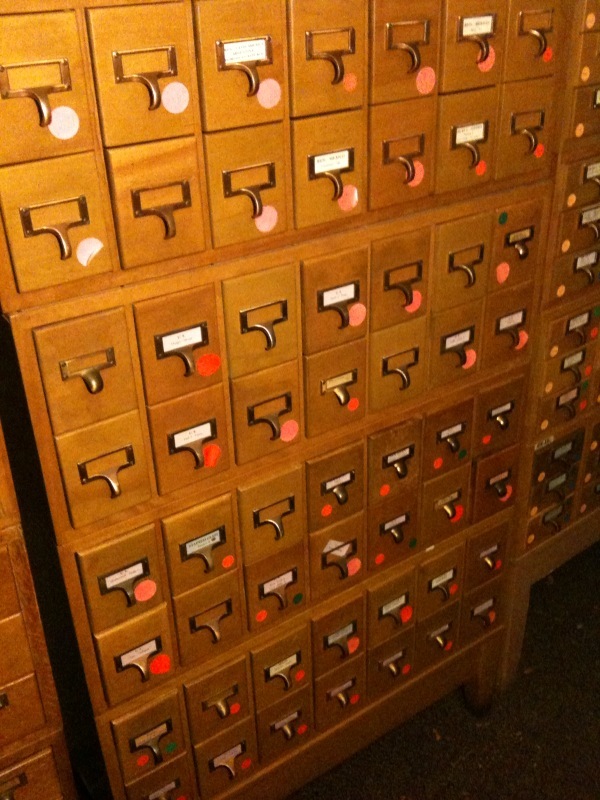 You can contact him at 315Whitney@gmail.com if you’re interested if buying any of these card catalogs — mention you saw them at Curled Up With A Book. 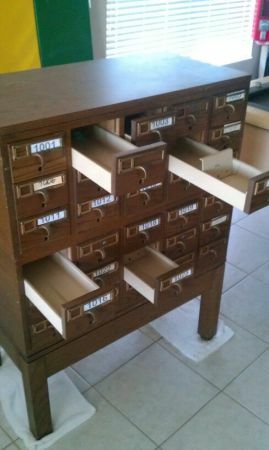 Also, if you’re looking to buy a card catalog in another style, it’s worth emailing him to see if he has additional stock matching your tastes. 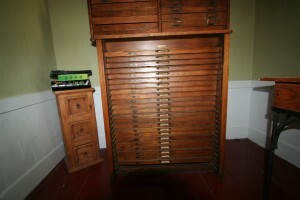 Happy hunting! 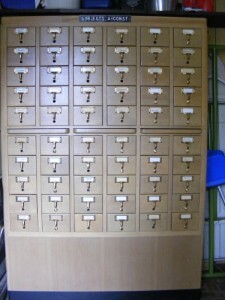 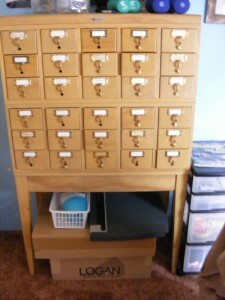 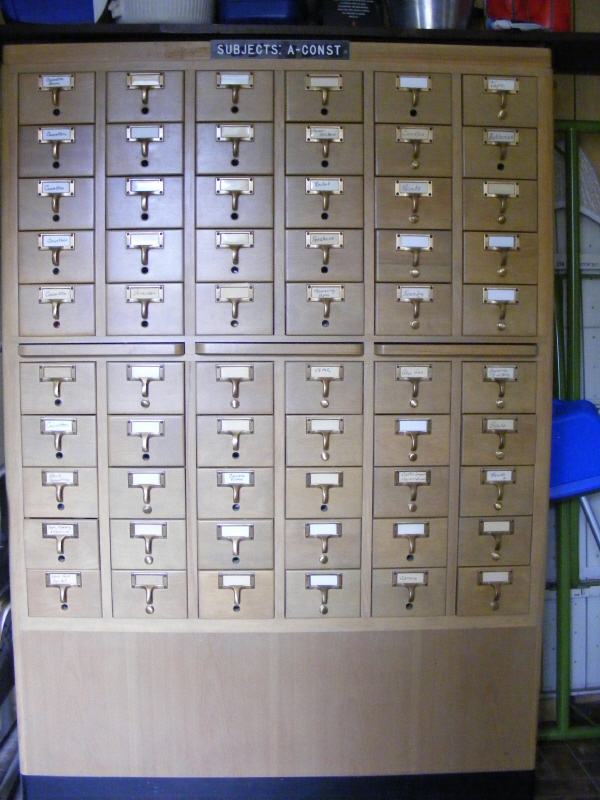 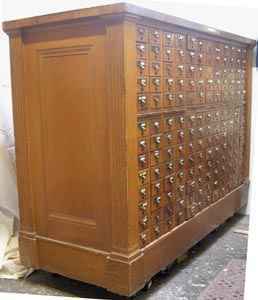 For a little while now I’ve been looking for an old library card catalog. 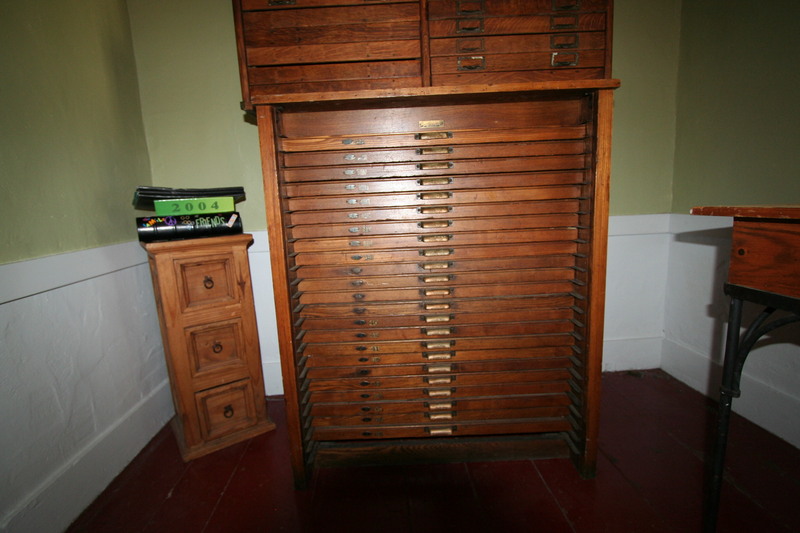 My quest has largely been disappointing in its results (probably because I don’t want to spend too much on it), but the other day I got a bit of inspiration to keep looking, via this design*sponge spotlight on Matthew Fairbanks. 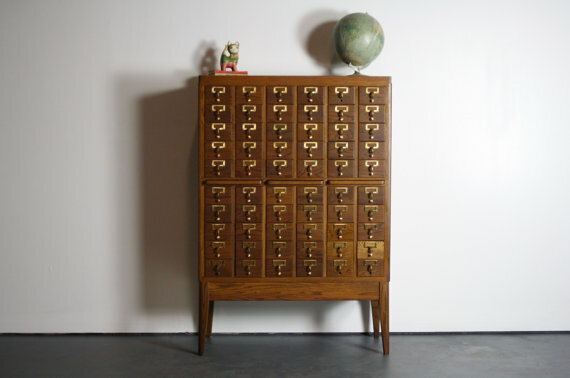 Fairbanks is a Brooklyn-based furniture artist who created this lovely card catalog writing desk.